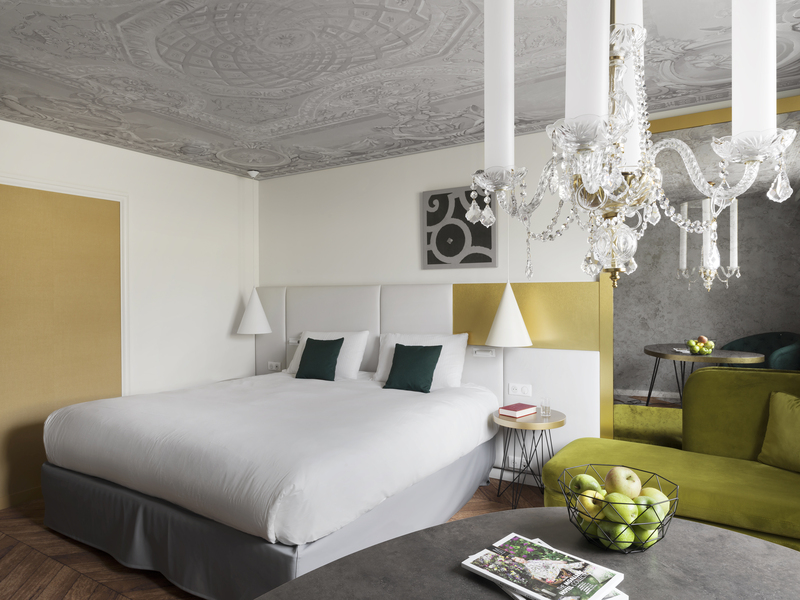 Renovation of Pullman Chateau de Versailles of Accor, located in Versailles and built 25 years ago. Renovation within a tight budget and time. 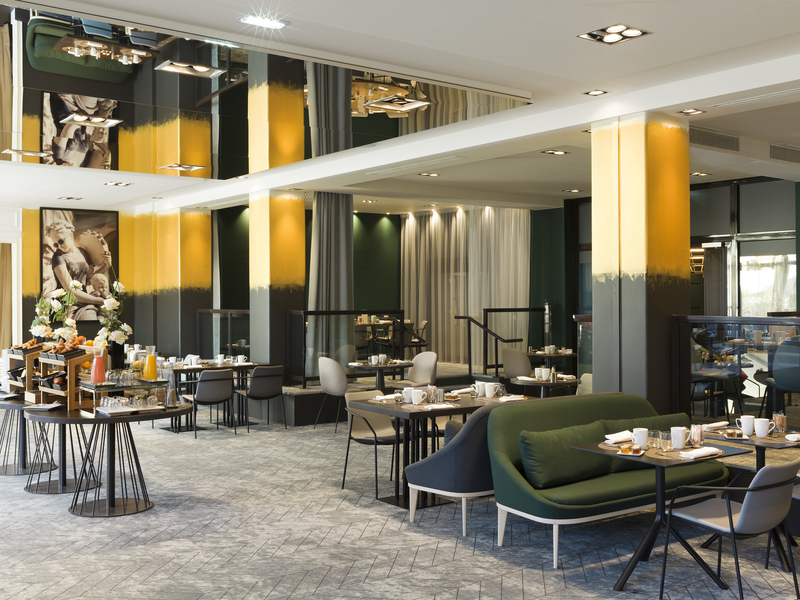 The new interior should harmonize with design at MGallery: Contemporary and authentic design connected to the hotel story and the destination. 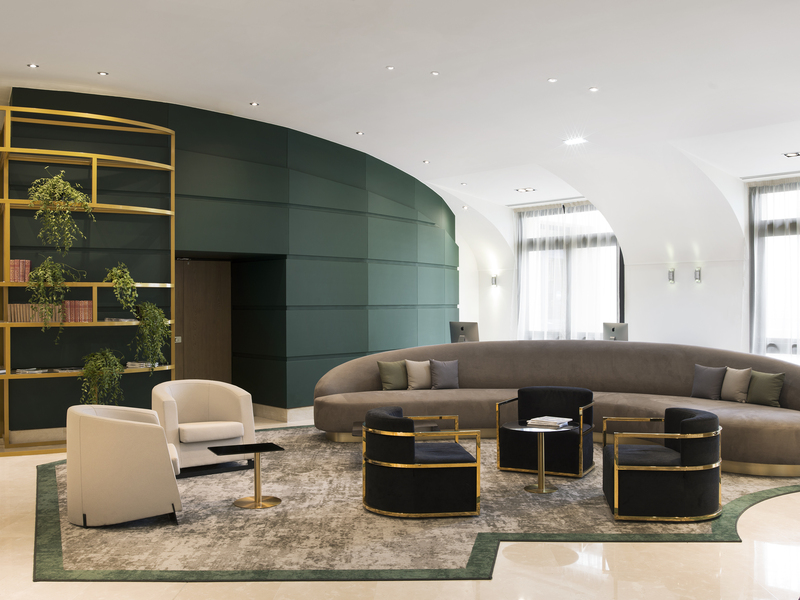 The exclusive historic location, the harmony of architecture and nature inspired us to develop the design idea: to create an interior that would harmoniously accompany the architectural ensemble of Versailles, to combine contemporary elegance with classic refinement. It should have royal historic roots, and at the same time – be artistic, bright and unique. To implement the idea we used classical textures, giving them a contemporary sounding. We focused on baroque ornaments and elements, made in contemporary materials and added a note of irony, which is typical for our style. We brought the stylized patterns of The Gardens of Versailles greenhouse into the interiors, recognizable cone shape trimmed bushes, added classical French crystal, antique mirrors, moldings, but at the same time modern and elegant furniture and modern materials – concrete, photoprint, art. During the renovation we moved the bar from close-off area to the center part of the lobby, in an orangery, where it attracts the attention of all the guests. 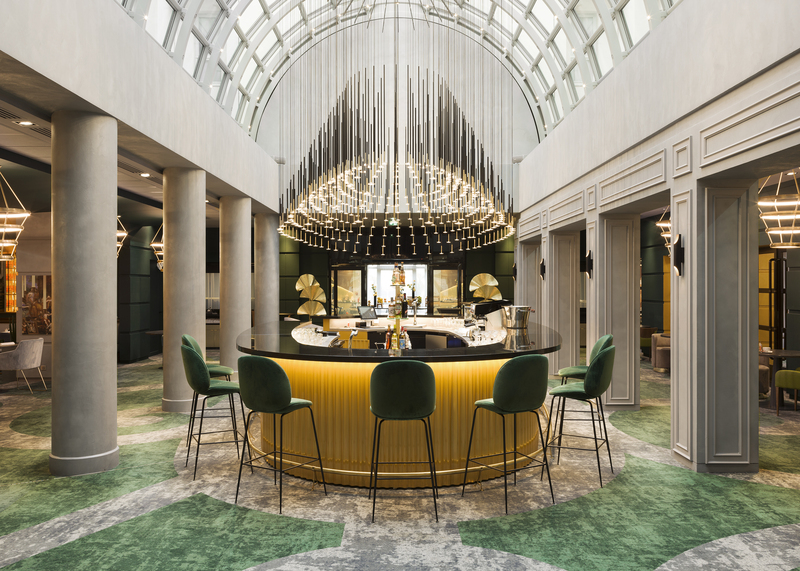 One of highlights in the lobby is the chic bar’s stunning chandelier imitating the form of the roof of the classic palace. 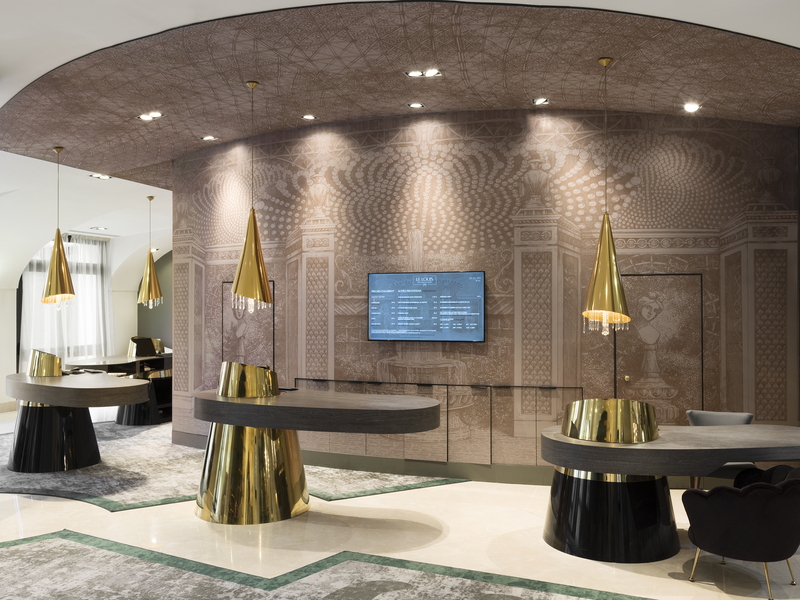 Reception desks with cone-like elements repeat the shape of the cone-cut trees in The Gardens of Versailles. 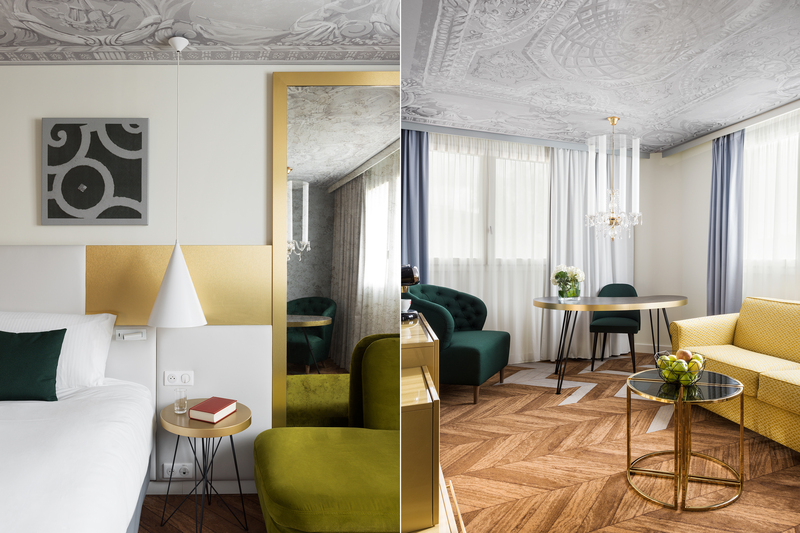 Walls’ painting is in the style resembling aged concrete, which is a very modern material that blends perfectly with antique gold and dark green, the color of the Versailles parks. 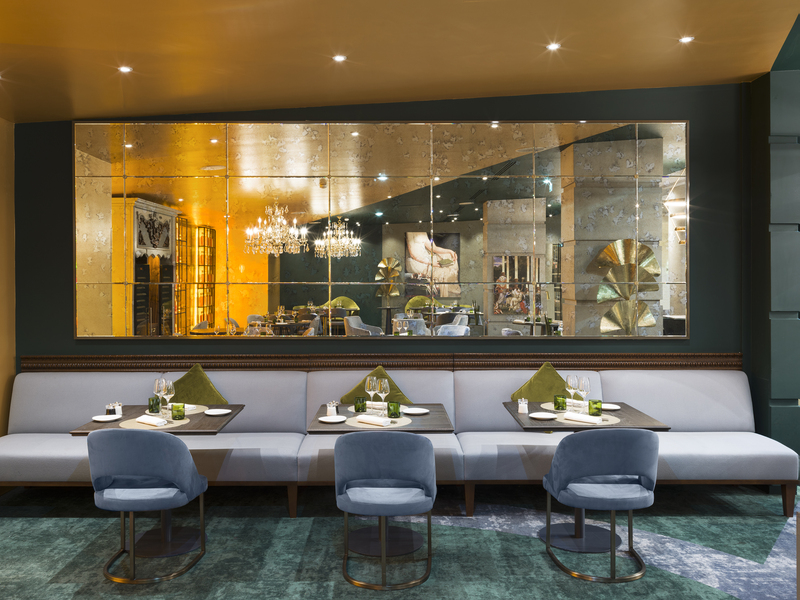 French art de vivre is also the main theme of the restaurant interior. Another creative solution is a carpet whose design is a paraphrase of the iconic landscape. Up-to-date comfortable room combines elegant, historical touches and a bit of artistry. 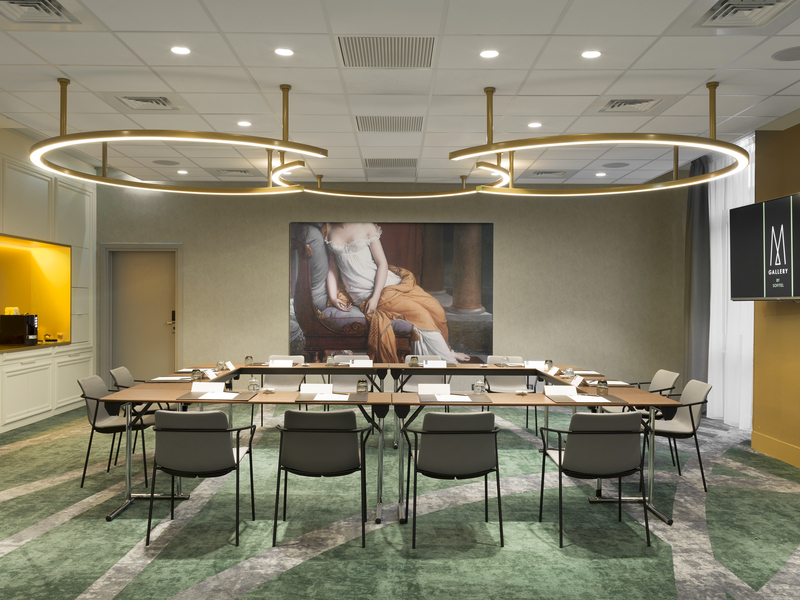 The layout emphasizes the orientation of the business hotel and underlines the importance of the workplace in the room: large comfortable bed with modern headboard, a spacious, but elegant ergonomic table with a modern chair. 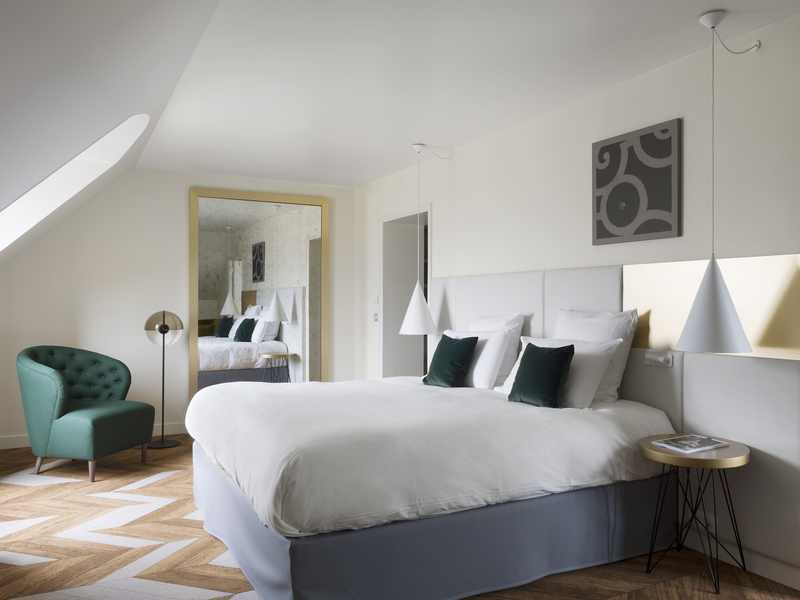 The lamps, hanging above the bedside tables, resemble the geometry of the trimmed bushes of the Gardens of Versailles. One of the most important art objects is a bespoke ceiling painting repeating a ceiling design in one of Versailles Palace rooms, but made in concrete texture. Art chandelier on the ceiling combines an ancient shape with modern led lamps resembling candles, but exaggeratedly stretching to the top. 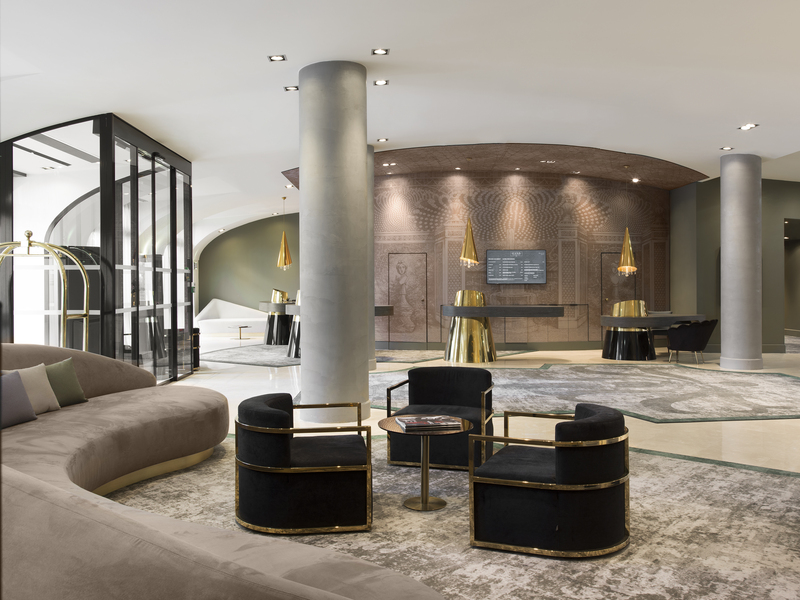 After renovation the hotel chimes perfectly with the philosophy of the MGallery by Sofitel brand.